The Neuroendocrine and Pituitary Tumor Clinical Center bulletin has been published regularly since 1993. All newsletter articles, past and present, have been archived below and are available for your review. Of note, there have been significant advances in our understanding and treatment of pituitary disease since the initiation of the Bulletin more than 20 years ago, and early issues of the bulletin should be read with this in mind. Cushing’s disease in pregnancy by Melanie Schorr, M.D. Effects of Growth Hormone on Thyroid Function in Patients with Growth Hormone Deficiency – A Potential Effect of GH on Type 2 Iodothyronine Deiodinase - by Janet Lo, M.D. Understanding Growth Hormone Deficiency in HIV Lipodystrophy by Suman Srinivasa, M.D. Save The Date - 18th Annual Nicholas T. Zervas, M.D. Lectureship - Tuesday, May 23, 2017 at 12pm - “Topics in Growth Hormone Deficiency” - Laurence Katznelson, M.D. 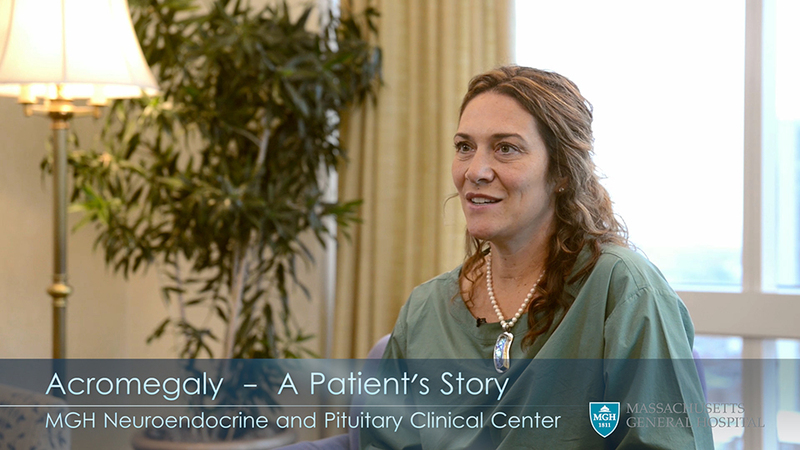 A Pituitary Mass Presenting with Visual Loss During Pregnancy by Brooke Swearingen, M.D. Growth Hormone Replacement in Adults with Cured Acromegaly: Ready for Prime Time? by Nicholas A Tritos, M.D., D.Sc. An Unusual Case of Acromegaly: the Disappearing Macroadenoma by Lisa B. Nachtigall, M.D. Sellar Masses Are Not Always Pituitary Adenomas – What Are the Diagnostic Possibilities? by Brooke Swearingen, M.D. Cardiovascular Effects of Acromegaly by Alexander Faje, M.D. Reassessing Growth Hormone Deficiency in the Child-to-Adult Transition by Takara Stanley, M.D. Controversies in the Clinical Management of Acromegaly: Five Commonly Asked Questions by Lisa Nachtigall, M.D. Pituitary Causes of Amenorrhea by Pouneh K. Fazeli, M.D. Dyslipidemia in Cushing's Disease (CD) by Markella V. Zanni, M.D. Cushing's Research Presented at The Endocrine Society Annual Meeting 2011 by Beverly MK Biller, M.D. Thyrotropin-secreting Pituitary Adenomas: Pitfalls in Diagnosis and Management by Nicholas A. Tritos, M.D., D.Sc. The Role of Growth Hormone in Bone and Mineral Metabolism: Lessons from Acromegaly and Growth Hormone Deficiency by Shirin Attarian, M.D. and Lisa Nachtigall, M.D. Hypothalamic-Pituitary Complications of Anorexia Nervosa by Elizabeth Lawson, M.D. Growth Hormone Therapy in Childhood Cancer Survivors: Risk of Cancer Recurrence and Development of Secondary Neoplasm - Melissa Russell, M.D..
Growth Hormone Deficiency after Definitive Therapy for Acromegaly: Part I - Quality of Life - Karen K. Miller, M.D. Investigational Uses of Recombinant Human Growth Hormone: Focus On Obesity and Congestive Heart Failure - Nicholas A. Tritos, M.D., D.Sc. Potential Cardiac Valve Effects of Dopamine Agonists - Elena Valassi, M.D. Obesity and Antipsychotic Drug Use - Hideo Makimura, M.D., Ph.D.
Etiology of Thickened Pituitary Stalks - Thomas N. Byrne, M.D. Pituitary Apoplexy - Steven J. Russell, M.D., Ph.D. Bone Loss in Women of Reproductive Age Part I - Amenorrheic Bone Loss - by Karen K. Miller, M.D. Testosterone Therapy in Men: An Update - by Laurence Katznelson, M.D. Acromegaly: Complications and Therapeutic Update. Testosterone Therapy in Men - by Laurence Katznelson, M.D. Stereotactic Proton Irradiation of Pituitary Adenomas. Prolactinomas Resistant to Standard Dopamine Agonists Respond to Chronic Cabergoline Treatment. Pituitary Irradiation is Ineffective in Normalizing Plasma Insulin-Like Growth Factor-1 in Patients with Acromegaly. Dr. Mabel Toribio earned her medical degree at the Johns Hopkins University School of Medicine. She then went on to complete her Internal Medicine residency training at the University of California, San Francisco; and her Endocrinology fellowship training at Massachusetts General Hospital. Dr. Toribio sees patients with neuroendocrine and pituitary disorders at the MGH Neuroendocrine and Pituitary Tumor Clinical Center and sees patients hospitalized at MGH through inpatient consultations. Additionally, she performs clinical research at MGH and provides teaching to medical students, residents, and other trainees at MGH and Harvard Medical School. For over 40 years this course has provided practicing endocrinologists and other healthcare providers with a comprehensive review and update of recent literature in clinical endocrinology. The faculty consists of staff endocrinologists at the Massachusetts General Hospital and Harvard Medical School as well as nationally-renowned guest lecturers, all selected for their teaching and clinical skills. A comprehensive syllabus is provided.